It's September-National Honey Month-in Moraine, Wisconsin, and things are looking up for Story Fischer. Her messy divorce is final; the honey from her beekeeping business has been harvested; and the Wild Clover, the market she owns, is thriving. Life seems pretty sweet until her mentor in the honey business is found stung to death in his apiary. Story is still trying to explain to the panicked locals that Manny was killed by wasps, not honeybees, when another body is found floating in the Oconomowoc River. This time the evidence points to Story's ex. Sure, Clay's a womanizer and a buzz kill-but a murderer? With the townsfolk stirred up against her honeybees, and a handsome cop-who also happens to be Story's former high school sweetheart-putting Clay in cuffs, it's up to Story to get them both out of a very sticky situation. A stellar debut! The death of a beekeeper makes for an absolute honey of a read in this engaging and well-written mystery. Story Fischer is a sharp and resilient amateur sleuth, and Hannah Reed sweeps us into her world with skillful and loving detail. 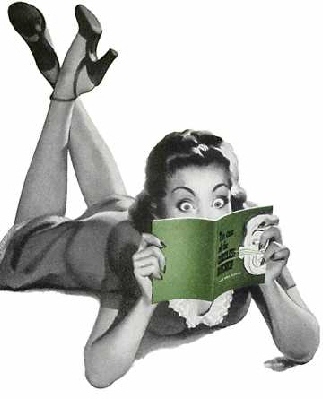 Booksellers, listen up: Once readers get a taste of the Queen Bee Mysteries, they will be swarming for more! Story Fischer is just as industrious as her colony of bees when it comes to investigating the death of her mentor and the theft of his beekeeping manual. Action, adventure, a touch of romance, and a cast of delightful characters fill Hannah Reed's debut novel. 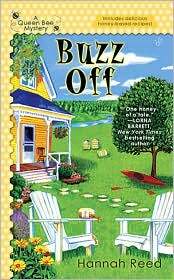 BUZZ OFF is one honey of a tale.